What Is the 2018 Mazda6 Crash Test Rating? These days, it’s easy to take safety for granted… but as drivers, we really shouldn’t. Some vehicles are simply safer than others, despite advancements in safety technology and equipment making modern vehicles overall far safer than their counterparts from decades ago. For example, this is one area that the 2018 Mazda6 excels at compared to the competition, but just how safe is it? And how safe is safe enough? Well, thankfully, it’s easy to answer questions like that. With organizations like the Insurance Institute for Highway Safety, or IIHS, drivers can know which vehicles stand out in the safety department and which vehicles they may want to avoid. Better yet, such organizations really put the vehicles to the test, rather than just taking a guess based on number of airbags or safety technologies. Now, different organizations have different ways of rating vehicles, but when it comes to the IIHS, they have the Top Safety Pick. So, for, 2018, the Mazda6 was named a Top Safety Pick when it comes equipped with the optional Adaptive Front-Lighting System. Advanced technologies like that certainly help the Mazda6 earn a top rating, but it had to get the basics right as well. That’s why the IIHS has multiple crash test ratings, such as overlap front, roof strength and more. To earn the Top Safety Pick status, a car has to earn a “good” rating in each of the crash test categories. But the Mazda6 goes even further by offering standard safety tech on the 2018 model like a rearview camera, Blind Spot Monitoring and a bunch more. So, the next time you’re shopping for a new car, don’t take safety for granted. Be sure you get the right car that can keep you and your family safe, and provide that important peace of mind while on the road as well. 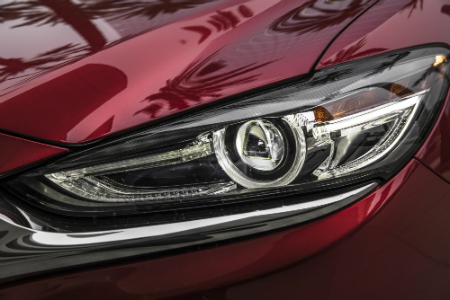 To learn more about Mazda, check back to the Maple Shade Mazda blog. This entry was posted on Tuesday, September 25th, 2018 at 1:43 pm	and is filed under Mazda6. You can follow any responses to this entry through the RSS 2.0 feed. You can skip to the end and leave a response. Pinging is currently not allowed. What you got for safety from T-bone crash ! !